It’s hard to escape hearing of the nickname referencing the most successful – either collegiately or professionally – team in the Volunteer State. The Nashville Predators have united Nashville, as well as the state of Tennessee during their run to the Stanley Cup Finals, the first appearance in their 18th season in franchise history. The Stanley Cup Finals run has etched the Predators as one of the better teams in the NHL along with an electrifying scene put on by the fans inside and outside Bridgestone Arena. Part of the fan base is made up of SEC fans. Tennessee and Vanderbilt fans are well represented along with fans of other SEC schools who live in the mid-state. With the support and popularity at an all-time high now for Tennessee’s NHL team, how close are the Nashville Predators in hosting an outdoor game? Twenty-three of the 30 NHL teams have played in an outdoor game since the league debuted the Winter Classic in 2008 and eventually rolled out the Stadium Series in attempt to play more games outside throughout the season. 23 of the 30 NHL teams have played an outdoor game. The Predators might draw 100,000-plus to a game in Knoxville. The largest crowd came on Jan. 1, 2014, when the Detroit Red Wings and the Toronto Maple Leafs played at the Big House on Michigan’s campus in front of a record 105,491 (104,173 certified) to watch a hockey game. 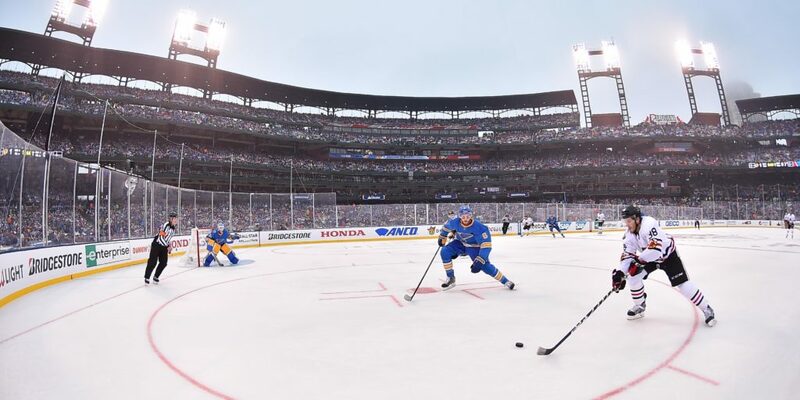 Since the debut of the Winter Classic, Ralph Wilson Stadium, Wrigley Field, Fenway Park, Heinz Field, Citizens Bank Park, Michigan Stadium, Nationals Park, Gillette Stadium and Busch Stadium have hosted NHL games. Citi Field, home of the New York Mets, has been announced for the 2018 Winter Classic between the New York Rangers and the Buffalo Sabres. With the Predators proving to the hockey world that they are not only a good team and franchise, but now the overwhelming support is there, with the actual consideration of playing a game outside at the Tennessee Titans’ home Nissan Stadium or even Neyland Stadium. Just imagine: Smashville … in Knoxville. Nashville Predators’ reporter, Justin Bradford for Penalty Box Radio, discussed where the Predators stand to eventually play an outdoor game in the Volunteer State. Even before the run to the Stanley Cup Finals, events such as the Battle at Bristol between Tennessee and Virginia Tech at Bristol Motor Speedway have sparked more consideration toward the Predators coming closer to making an outdoor game a reality. “With the Bristol game between Tennessee and Virginia Tech, the topic of the Predators doing something like that is there within a Stadium Series,” said Bradford, who wrote a book on the Predators. Scheduling is the major difference between the Winter Classic and the Stadium Series. The Winter Classic is usually played on New Year’s Day if it does not compete with other major televised events. The Stadium Series is on a lesser scale. They are still huge, but won’t necessarily be televised on NBC and are more regional. Dodger Stadium, Yankee Stadium, Soldier Field, Levi’s Stadium, TCF Bank Stadium, Coors Field and Heinz Field have hosted games in the Stadium Series that started in 2013. As of now, there are no Stadium Series games scheduled for the 2017-2018 season. Bradford says that “the talk mostly has been about a Stadium Series game instead of the Winter Classic” for the Predators. “Reasons for being part of the Stadium Series would be due to the Titans still being in season and the Winter Classic takes about a week to setup. A Stadium Series game could be played in early February, which in Nashville is probably around when it’s the coldest. Watch parties are happening throughout the Volunteer State whenever the Predators play. Many of those watching are college football fans patiently awaiting the start of the season, and the Predators are filling the ordinary lull with excitement. Even Tennessee coach Butch Jones and Vanderbilt coach Derek Mason are behind the Predators. Whether fans are watching games at house parties, local establishments or even driving to Nashville to go to a game or take in the atmosphere on the plaza, this run has generated a buzz that will last far beyond this summer. “People want to experience something unique, especially in the south,” Bradford said. 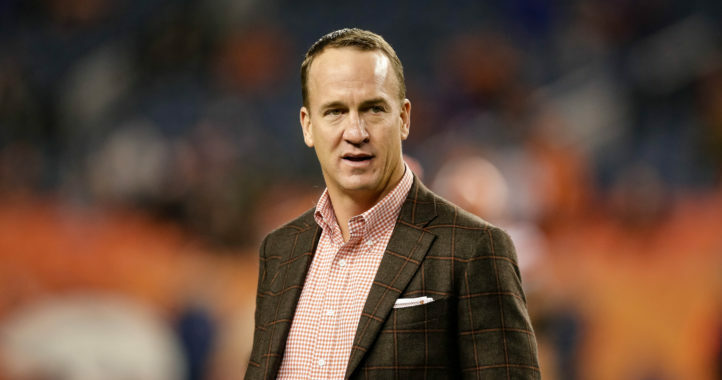 “You grow up with it and that’s why a sport like college football works so well. Even if you don’t go to a certain school, you are fan because of your family, friends or whatever you grew up with. Atlanta’s NHL team moving to Winnipeg in 2011 created a void that the Predators have been filling. 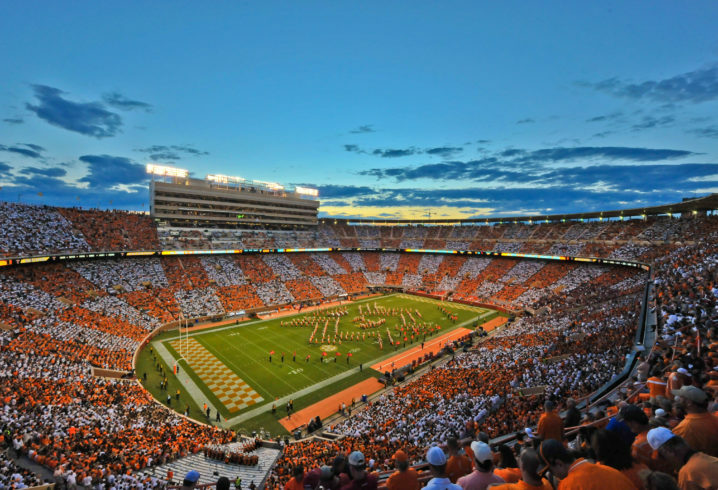 The thought of having a an outdoor game played inside historic Neyland Stadium is ideal, too. With capacity at 102,455, standing room tickets could be sold or bringing in any additional seating would help break the attendance record set on Michigan’s campus at the Big House. Bradford said “it would add a lot of something special” to play on the campus of Tennessee. “You look at how big fan bases are, there’s something special about college football stadiums,” he said. “Nissan Stadium is one to start with because it’s in Nashville and would be easier to sell tickets in the upper 60,000 compared to 100,000. 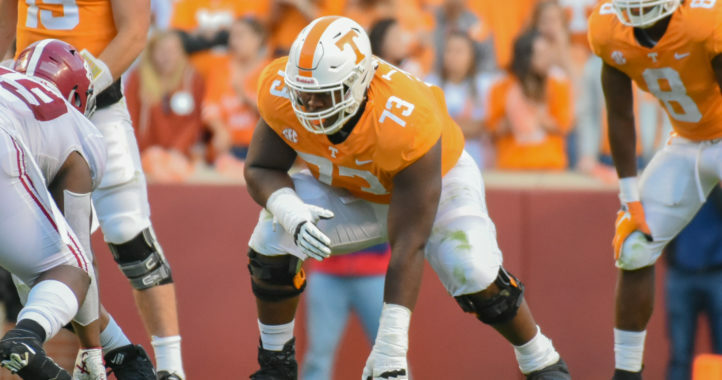 Dan Harralson covers Tennessee football for SaturdayDownSouth.com. Follow Dan on Twitter @danharralson. The average culturally disadvantaged East Tennessean would not have a clue about the NHL. Let’s see. With this screen name you are bashing the Vols. 1-29 and running against the Vols. But I’m sure with the at least two screen names you are using the Tennessee logo you are defending their every move. How about the other screen names you are using on here? I see your Bama name is very negative against the boys in Knoxville but you lost all credibility when you said the Tennessee game was more important that the Auburn game. Not quite got you Arkansas names down yet. Missouri, yep and of course the two you are using for LSU, easy to detect. I have one screen name Paris…….you claim to have multiple names by your own admission so what does that tell you? I see you have lots of people who can’t stand you here on SDS……so what does that tell you? OH, so we want to reveal who we are! Let’s do it. I use Paris10 here, ParisGuy on another site because Paris10 wasn’t available. Tom Atkinson, my true name on the Louisville Courier Journal, and Lexington Herald. I haven’t been banned from any site and don’t need to have multiple screen names on any site to have someone agree with me. You have multiple screen names on here, the bashing words you use displays that. You actually have multiple screen names for the same teams. That’s so you can disagree with yourself. NOW, its time for you to list the screen names you use for posing as a fan of the various SEC teams, and of course, your true name. I would really like to see your posts on legitimate sites were you can’t post under a variety of aliases. I know you on here. Your LSUwhatever just called me a moron. How you noticed there are no other posters personally slandering other posters? They make their points, can disagree and go on. So, since you are here. Now about true name, where you post using it on legit sites, a list of you close to 20 names you are using, and of course how you feel about being just as happy with putting players in the NBA as you are winning national championships. Simple questions which you won’t answer so that tells us a lot. Heck, your other screen names might learn a lot about you too. Seven PLEASE report me. And I imagine they will research your comments and the slanderous remarks you have made. OH, forgot about that? And I bet they have a list of you other screen names and see the remarks of the same style to other posters. And don’t forget, I listed the screen names I have on this site and others. My TRUE name which I use on the Courier Journal and Lexington Herald. But on the newspapers you have to use a name associated with Facebook. I’m sure your on Facebook so jump on either and bash me there. I’ll await to get your name and other screen names. another personal attack on the people of Tennessee. You need to get eight or twelve of your other screen names to back you up or argue with you.